Werder Bremen have responded to Thomas Delaney leaving the club for Borussia Dortmund by signing Everton midfielder Davy Klaassen. 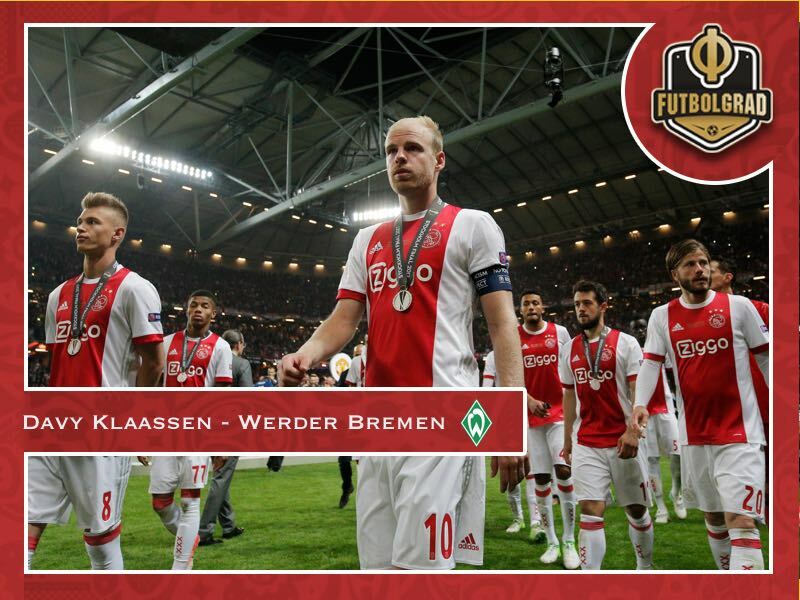 A 25-year-old Dutch national team player Klaassen will join Werder Bremen for €13.5 million. Including bonuses the Klaassen deal could grow to €15 million and, as a result, the Dutch playmaker is the most expensive signing in Werder Bremen’s history. The Klaassen deal, therefore, constitutes not only a major opportunity for Die Grün-Weißen but also a significant risk. Werder received €20 million for Delaney this summer. A large part of that investment has now been re-invested in Davy Klaassen. Unlike Delaney, who is more of a number eight, Klaassen is, however, a classic number 10. Hence, Werder are not filling the void left by the Danish midfielder by a box-to-box midfield general but by a player, who likes to play further up the field. Furthermore, Davy Klaassen struggled at Everton. Signed last summer by the Liverpool based club the 25-year-old played just 249 minutes in seven English Premier League games. Davy Klaassen also played five games (243 minutes) in the UEFA Europa League and managed one appearance in the EFL Cup. Altogether a disappointing season for the Ajax Amsterdam academy product, who only just one year ago was considered one of the most promising playmaker talents in European football. During the 2016/17 Eredivisie season, Davy Klaassen managed 14 goals and ten assists in 33 games. He was also a significant part in Ajax’s run to the Europa League final playing 13 games in that competition scoring two goals and two assists. The question, therefore, is what went wrong for Klaassen at Everton? “He is a very honest professional, well liked by the fans for his attitude but it was clear that he did not have the physicality for the Premier League. Ronald Koeman couldn’t find a regular spot for him, so was played out of position”, Everton specialist The Esk explained to the Futbolgrad Network. After a difficult start to the season, Everton fired Koeman in October and replaced him with Sam Allardyce in November. Allardyce is an old-school English coach usually brought in to stabilise struggling sides but at the same time lacks the ability to develop young and upcoming talent. Allardyce quickly focused on established players and as a result, talented players like Ademola Lookman or new players to the league like Davy Klaassen struggled to find a place in the squad. “[Klaassen found it] difficult trying to adopt in a struggling side with a very poor coach”, The Esk sums up the situation that the Dutch playmaker found himself in during the second half of the season. Hence, while Allardyce managed to steer Everton to a sixth-place finish in the league the damage was done in terms of player development. 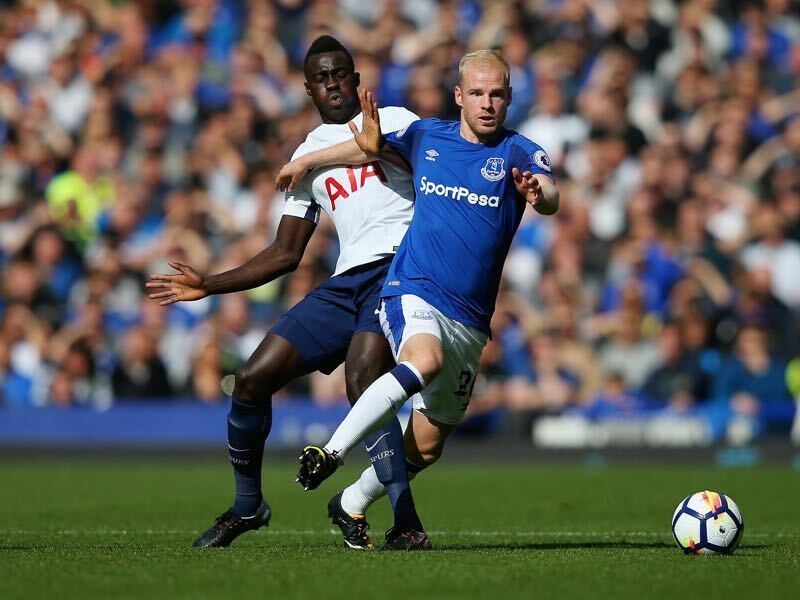 Reportedly homesick and dissolution Davy Klaassen was among the players, who wanted to leave even after Everton announced that Allardyce would be replaced by Marco Silva. Werder Bremen, in turn, are a club specialist in resurrecting the careers of fallen playmakers. In the 1990s the Austrian playmaker Andreas Herzog led the club. Then in the early 2000s French playmaker, Johan Micoud led Werder to the 2003/04 Bundesliga title. Next came the Brazilian number 10 Diego, who played for the club from 2006 to 2009. Micoud and Diego, in particular, used Werder Bremen to resurrect their respective careers. Micoud joined Werder from Parma, where he had struggled for playing time, in 2002. At Werder, Micoud played 123 games and scored 31 goals and 16 assists. Diego, in the meantime, joined Bremen in 2006 from Porto. At Werder he the Brazilian scored 38 goals and 11 assists in 84 games and quickly became one of the most sought-after midfield prospects in European football – although after leaving Werder in 2009 he never completely fulfilled the promise that came with his talent. Diego were then, of course, also the club where Mesut Özil had his breakthrough – launching his career with Bremen the playmaker would later play for Real Madrid and Arsenal as well as win the World Cup with Germany in 2014. In other words, Werder Bremen seems to be a hotbed for classic playmakers that need to find a place in which they can show their full creativity without constraints. For Werder, in turn, the Klaassen transfer is a sign that the club wants to move away from being a club associated with the Bundesliga relegation zone. Klaassen’s arrival is accompanied by the return of strikers Martin Harnik (Hannover), Yuya Osako (Köln), as well as right-back Felix Beijmo (Djurgardens IF) and the talented midfielder Kevin Möhwald (Nürnberg). Those players will now join a squad that already an array of attacking talent. Werder head coach Florian Kohfeldt likes to play attacking football and Davy Klaassen is now supposed to string it all together and bring back the flair of glorious playmakers at the Weser. Hence, while Bremen are going all in with this deal, it is a transfer that could pay off big time.